Nature is in turmoil and so is Podere Selva Capuzza! 25 may 2019, Saturday: walking through the vines of DOC San Martino della Battaglia by Movimento del Turismo dal vino. 31 may 2019, Friday: “Armonie senza tempo” Timeless armonies, Roma, Villa Aurelia. 16 june 2019, Sunday: “chatting up and down Tuchì vines ”, a walk along the local vineyards ending with a wine tasting in the San Martino tower garden. 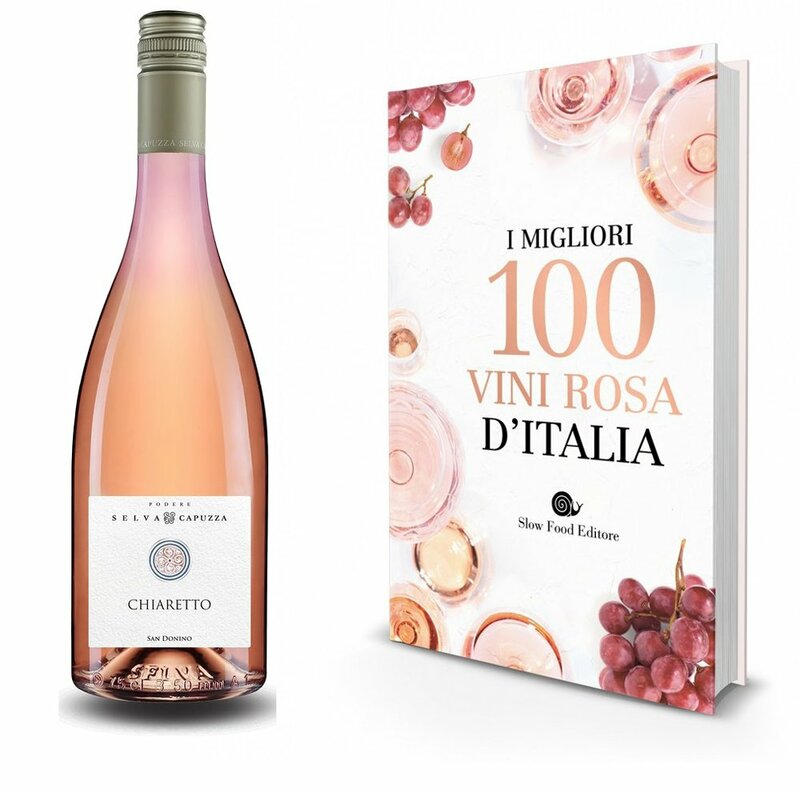 -“ The best 100 italian wines and winemakers” (good drinking under 15 euros), Awarded wine: “Campo del Soglio” 2017, San Martino della Battaglia. During Vinitaly, our Luca Formentini has been awarded with the important “Premio Angelo Betti- Benemeriti della Viticultura”. We are honored such a prestigious award has been accorded to Luca and our winery. Restaurant Cascina Capuzza will welcome you with the fresh new Spring menu, we’re open both for lunch and dinner. The wine cellar and the wine shop are open every day for tasting from 9.30 am till 5.30 pm. For groups, please contact us. Our agriturismo Borgo San Donino awaits you for a relaxing holiday in the vineyards. I hope you’ve been feeling our turmoil, Podere Selva Capuzza wishes you a Happy Easter! We wish to send you our most sincere wishes for the upcoming festivities. May them be filled of serenity, time to devote to your dear ones and to yourself. 2017 was an exciting year, full of important steps as our new vineyard and the reaching of our 100th harvest, the fruit of which will accompany us in the coming years. A century, lived in and around wine, in full respect of the soil, and its inhabitants. Happy Holidays from all of us in Selva Capuzza! Our 2017 harvest was one of the best among the latest ones, we've been lucky enough to have our crops saved from the crazy weather conditions that sadly have affected many wine-growing areas in Europe. There was a little less grape production, however the wines of our 100th harvest will express excellent characters. Such a good vintage allowed us to produce an experiment as a celebration of this unique achievement. Be a little patient to discover more about it. Our traditional Christmas menu, made of genuine and local ingredients. And for those who want to celebrate with us, we will be here: New Year's party at Capuzza with dinner, wine and lots of music! The Lugana jelly, the first produced, will be one of the novelties of 2018. We have tasted it on the cheeses but we are sure there may be many other possible combinations. It will be nice to discover them together. We are waiting for you to try it. Our winery will be closed from tonight until January the 8th. Cascina Capuzza restaurant will be closed from Monday 8th January until Wednesday 14th February. See you on February the 15th , we have prepared many news for you! Borgo San Donino farmhouse, will open until Sunday, January the 7th. We will close for maintenance until next Spring. Here are some of our favorite images of our harvest 2017 ... soon the wines will be ready and you can taste them! This year will be our family's hundredth harvest. One century which has seen 4 generations committed to wine making through a growing awareness of its meaning and the responsibility behind it. Along this century we've done our best to leave the most positive and bright traces, paying our tribute in order to protect its culture, heritage, landscape, environment, identity and people. We wish to keep hosting you at Selva Capuzza for a long time to go, in the very heart which has been hosting this story and which will host its future. We like to remind that the restaurant until the end of summer will be open two extra days, on on Monday and Wednesday for dinner. We will be open as usual from Thursday to Sunday, for lunch and dinner. We are looking forward to see you. Discover here our summer menù. Three intense days of culture and tradition where Yoga & Wine come together to offer a wonderful and unforgettable experience. We send you our best wishes for the holidays. Let them be filled with joy and peaceful times with your loved ones as we look forward to another year. a century lived in wine and with respect of the land and of life. Here at Podere Selva Capuzza Christmas remains one of the most important celebrations. We like to take this chance to remember the good times experienced during the past year. For those of you who happen to be in the area, we would be glad to meet you on Saturday, December the 17th from 16.30 to 18.30 to wish you Merry Christmas in our "Hall of the Well". We would be happy to share a toast with you near by our crackling fireplace. A Christmas menu according to the italian tradition, full of genuine and local raw materials. And if you don't want to miss anything, the Capuzza's New Year's Eve party with dinner, wine and lots of music! We inform you our restaurant Cascina Capuzza will be closed from Monday, January the 9th to Wednesday, February the 8th. See you Thursday, February 9, we have prepared a lot of news! Be the first to discover them! Online the results of tastings conducted by Kerin O'Keefe for Wine Enthusiast. We are delighted that two of our wines have been evaluated with a score of 90 or higher. Find out what here. The Wine Hunter awarded the Certificate of Excellence Merano Wine Award 2016 to two of our wines. Click here to find out more. Our tasting menu designed for autumn is available from the 6th of October. We would rimind you that it is always possible alternative menus, vegetarian or proposals à la carte. The tasting course #trustyourtaste will take you in a wine experience aimed to create more awareness of wine. We would like to encourage your own personal point of view, in a more spontaneous and personal approach to the wine. If you want to celebrate Christmas with a special gift to share with your friends and relatives, we are what are you looking for! We can prepare personalized bundle with our wines or special voucher for your Italian holiday and dinner. The sardinata represents a historic moment for fishermen of Desenzano and this year Cascina Capuzza has decided to make this unmissable event open to all, for the first time. On 24th June 1859 were fought here a very strategic battle between the French and Sardo-Piemontese army agaist the Austro-Ungarico army. Our aim is to share this extraordinary day through a tale made by a storyteller, with a different point of view. The new vintages has arrived! From June you will be able to find out our Garda Classico Rosso Superiore 2012 Madèr, Garda Classico Rosso Dunant 2013 and Benaco Bresciano Igt Passito Lume. The truffle is a product of the earth known since ancient times, mysterious, now considered the "king of the table". During the month of June, this prized ingredient enrich the meals of Cascina Capuzza, with amazing recipes. "Un percorso intimo e anche visionario, un invito in un luogo segreto, accogliente"
For the special evening, you will be able to taste our special vegetarian menù matching with our wines San Martino della Battaglia Campo del Soglio 2015 and S. Donino Garda Classico Chiaretto 2015. Marco is a friend of us and an expert of truffle. With the help of his amazing dog, he will guide to discover this weird product. In conclusion lunch with fresh truffles. We would like to thank all the people who visiting us during the last event Cantine Aperte. A bus transport will be provided for 45 - to 90 people from and to Verona at 10,00 € per person. We will organize a buffet style dinner respecting the fact that people will arrive in different times. We will come up soon with the "menu" and the link where to book the event online! There is space for max. 130 #winelover! There will be a large buffet on which you'll find the following recepies, all prepared from fresh ingredients. Each will have a seat. .Chocolate salami and sbrisolona cake. 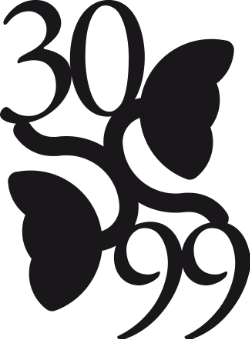 2016 is the year of the 30th birthday of our agriturismo-restaurant ( the very first license of all the area/region) and 99 years of wine making ( ! ). This means that many new beautiful things will be showing up step by step during the next months. On Thursday, 4th February, we will be opening again the restaurant for lunch and dinner, following our usual opening days from Thursday until Sunday. On November 17th and 18th we will be in USA with the Consorzio of Lugana for two events. "A place to rest the spirit and enrich the senses. To regain the charm of a lost time, which here is still flowing with forgotten rhythms, but also to get lost in the tranquility of an area that has been able to maintain its ancient integrity. We are in San Martino della Battaglia, one of the most beautiful areas in the hinterland of Lake Garda..."
Claudio Andrizzi wrote this article on "Garda Expo", the webzine about food and wine on Lake Garda, jointly published with the collaboration of Strada dei Vini e dei Sapori del Garda, the Lake Garda food & wine route. Read more here: "Selva Capuzza, the wine of silence". We are happy to discover that three of our wines were just scored by Wine Enthusiast web site, through their digital wine catalog. Click here to check their selections.